A leader in technology, offering a variety of innovative, hi-tech enterprise solutions like Amrita HealthCare Informatics Suite, Amrita University Management Suite, Amrita Telematics and Amrita VoIP. A software design and development firm specializing in helping organizations improve their software development process and practices through mentoring and software design and development tools. Guided selling and product configurator software. Cincom Acquire is the definitive solution for companies that sell complex products and services. One of India's reputed software Product development and product engineering companies, providing value-added, software-led IT solutions and services to large and medium scale organizations. A leader in CMMS and EAM solutions for businesses in verticals across the globe. From facilities maintenance management to asset management, their software can reduce downtime and increase profits. eMaint Enterprises offers maintenance management software across the globe serving business in Europe, Latin America and Brazil. eManut otherwise known as eMaint provides CMMS software to companies across the globe. Companies that deploy this software realize the true cost and time saving benefits that it provides. ERP software & ERP software solution developer. Free ERP software selection tool kit available. Provider of distribution, manufacturing, accounting, e-commerce, and business intelligence software. Specialists in development and implementation of Microsoft Dynamics AX enterprise resource planning software for process, discrete and high tech manufacturers. A software solutions company having domain expertise in Retail Management, Web Based Products, Web Services and Mobile Solutions. Reflex offers the real estate industry next generation software solutions. Land Development through Commercial Construction, Multi Family Construction and Home Building to Property Management. Accounting and CRM software consulting, implementation and customization services for small to mid size businesses. 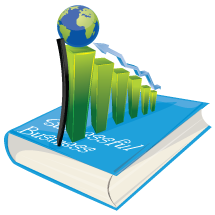 Software and services for sales territory design, management, mapping and optimization. Offers a collection of over twenty configurable ERP modules for manufacturing and industry. Provides insurance software, claim processing software, insurance billing software, workers compensation administration and other iseries software for insurance companies and TPAs. Describes TACTIC production scheduling, advanced planning and scheduling software, that both generates detailed shop floor dispatch lists and plans multiple supply chain locations.